"San Bernardino shooting" redirects here. For the 2017 shooting, see North Park Elementary School shooting. On December 2, 2015, 14 people were killed and 22 others were seriously injured in a terrorist attack consisting of a mass shooting and an attempted bombing at the Inland Regional Center in San Bernardino, California. The perpetrators, Syed Rizwan Farook and Tashfeen Malik, a married couple living in the city of Redlands, targeted a San Bernardino County Department of Public Health training event and Christmas party of about 80 employees in a rented banquet room. Farook was a U.S.-born citizen of Pakistani descent, who worked as a health department employee. Malik was a Pakistani-born lawful permanent resident of the United States. After the shooting, the couple fled in a rented Ford Expedition sport utility vehicle (SUV). Four hours later, police pursued their vehicle and killed them in a shootout, which also left two officers injured. According to the FBI's investigation, the perpetrators were "homegrown violent extremists" inspired by foreign terrorist groups. They were not directed by such groups and were not part of any terrorist cell or network. FBI investigators have said that Farook and Malik had become radicalized over several years prior to the attack, consuming "poison on the internet" and expressing a commitment to jihadism and martyrdom in private messages to each other. Farook and Malik had traveled to Saudi Arabia in the years before the attack. The couple had amassed a large stockpile of weapons, ammunition, and bomb-making equipment in their home. Enrique Marquez Jr., a friend and former neighbor of Farook's, was investigated in connection with his purchase of the two rifles used in the attack. Marquez was arrested in December 2015, and later pleaded guilty to federal charges of providing material support for terrorism and making false statements in connection with the acquisition of a firearm. Marquez also admitted that, in 2011, he conspired with Farook to carry out shooting and bombing attacks, plans which were abandoned at the time. Three other people, including Farook's brother and sister-in-law, were arrested for immigration fraud in connection with a sham marriage between Marquez and Mariya Chernykh (the sister-in-law of Farook's brother). All three pleaded guilty. The attack was the deadliest mass shooting in the U.S. since the 2012 Sandy Hook Elementary School shooting, and the deadliest terrorist attack to occur in the U.S. since the September 11 attacks. Farook and Malik left their six-month-old daughter with Farook's mother at their Redlands home the morning of the attack, saying they were going to a doctor's appointment. Farook, a health inspector for the San Bernardino County Department of Public Health, attended a departmental event at the banquet room of the Inland Regional Center. The event began as a semi-annual all-staff meeting and training event, and was in the process of transitioning into a department holiday party/luncheon when the shooting began. There was a total of 91 invited guests, with 75–80 people stated to have been in attendance. Farook arrived at the departmental event at about 8:30 a.m. and left midway through it at around 10:30 a.m., leaving a backpack atop a table. Coworkers reported that Farook had been quiet for the duration of the event, and that he had been looking at his phone before his departure. He posed for photos with other coworkers. A – Bldg#2 B – Injured people treated C – School for the blind where some took shelter while awaiting hospital treatment. The Conference Center – Site where shooting happened. Shortly before 11:00 a.m., the event went on an unscheduled break due to a technical problem. At 10:58 a.m. PST, Farook and Malik, armed with semi-automatic pistols and rifles, fired five shots, killing two people outside the building. Farook then entered a minute later and opened fire on those in attendance, followed quickly by Malik. They wore ski masks and black tactical gear (including load bearing vests holding magazines and ammunition), but not ballistic or bulletproof vests. The entire shooting took two or three minutes, during which the shooters fired more than 100 bullets before fleeing. During the shooting, many of those in attendance managed to escape the room and flee deeper into the building, while those who remained hid underneath tables or in bathrooms, closets, and cupboards. A bullet hit a fire sprinkler pipe, causing water to pour down the banquet room, making it difficult to see. The perpetrators moved between tables, shooting anyone who moved or made a sound. One person was struck by a bullet that tore through an interior wall, while another was shot while trying to escape through a glass door near where the shooters had entered. Three men attempted to stop one of the shooters, but all were shot; it was unclear if any of them survived. One victim was killed while shielding a coworker with his body. Some initially mistook the attack as an active shooter drill; some previous such drills had taken place in the same banquet room. An unidentified source told an NPR journalist that witnesses appeared to recognize Farook by his voice and build. Other witnesses easily identified one of the shooters as a female because of her slight build and tight-fitting clothes. Sources reported that Malik pledged bay'ah (allegiance) to Abu Bakr al-Baghdadi, the leader of ISIL, on a Facebook account associated with her as the attack was underway. Later reports described the posting as being made on behalf of both shooters. The perpetrators left three explosive devices connected to one another at the Inland Regional Center, contained inside the backpack left by Farook during the departmental event. The devices were described as pipe bombs constructed with Christmas lights and tied together, combined with a remote controlled car that was switched on. The poorly constructed devices failed to explode. Authorities believe that the pipe bombs were meant to target the emergency personnel responding to the scene. The device was hidden inside a canvas bag, and its build was similar to schematics published in Al Qaeda's Inspire magazine. Coworkers noticed the bag before the attack occurred, but thought that Farook would return for it and therefore did not investigate it. It took three minutes and 32 seconds for the first police unit to respond to the shooting following the initial 9-1-1 emergency call. Two police officers with the San Bernardino Police Department (SBPD) arrived almost simultaneously at 11:04 a.m.; when two other SBPD officers arrived two minutes later, the four officers entered the building through the southeast side and began to search for shooters. They ignored the pleas of wounded victims to stop and administer first aid to them, as that is common procedure during an active shooter situation. Another team of four officers (one from SBPD and the others from the Fontana Police Department) entered the building from the northern side and partnered up with the first team in clearing all of the first-floor rooms. At 11:14 a.m., the San Bernardino Fire Department made a Twitter post about an emergency on the 1300 block of Waterman Avenue, with the police working to clear the scene. Roads in the area were closed to traffic. The San Bernardino SWAT team happened to be conducting its monthly training exercise a few miles away from the scene at the time of the attack, which allowed them to arrive at the scene within eleven minutes. Police used a battering ram to get into the complex. The first floor was cleared by 11:17 a.m., and a secondary sweep of the building began fourteen minutes later. As officers searched for shooters inside the building, others aided the wounded. Probation officers initially set up a makeshift triage center near the entrance of the building, but deemed it to be too close and relocated it across the street by 11:15 a.m. Because survivors were soaked from water pouring from the fire sprinkler pipe, they became slippery for officers to hold. Injured victims were carried out on blankets and chairs, as litters and tactical stretchers were unavailable at the time. An SBPD tactical medic supervised the extraction operation. It took 57 minutes to get the last of the injured to a hospital. Ultimately, about 300 officers and agents from city, county, state, and federal agencies responded to the active-shooter event, converging on the scene as people were being evacuated. The FBI and the Los Angeles Police Department counter-terrorism unit were called in to assist. Police were on the lookout for a black SUV used by the perpetrators to flee the scene. At 5:08 p.m., the explosive devices placed by Farook were discovered by an FBI SWAT officer. They were later detonated individually by a bomb squad, with the last detonation occurring at 8:37 p.m. Earlier, at 11:33 a.m., an abandoned roller luggage bag was found in a second-floor office and mistaken for a suspicious device, but was deemed safe by 2:22 p.m. The Inland Regional Center was declared clear by authorities at 9:29 p.m. The U.S. Department of Homeland Security sent a Pilatus PC-12 surveillance aircraft to the area, which circled the skies above San Bernardino for hours, mainly in the area where the shooting took place and in areas under investigation by police, and departed after the shootout between the perpetrators and police. The shootout occurred on the south side of San Bernardino Avenue just east of Sheddon Drive; the red "A" marks the location of the Inland Regional Center. Law enforcement began a search for the suspects. A witness gave Farook's name to police, who quickly learned that he had rented a black Ford Expedition EL SUV with Utah license plates four days before the attack. Based on information provided by one of Farook's neighbors, two plainclothes investigators went to the perpetrators' Redlands home on North Center Street for surveillance shortly before 3:00 p.m., about four hours after the initial attack at the Inland Regional Center had begun. They spotted Farook's vehicle leaving the residence and gave chase onto the freeway at 3:08:19 p.m. Officers from other agencies joined the pursuit shortly afterward. At least one fake explosive‍—‌a metal pipe stuffed with cloth made to resemble a pipe bomb‍—‌was thrown at the police during the pursuit. The SUV exited the freeway onto North Tippecanoe Avenue and briefly stopped at a stoplight, where a pursuing officer observed the perpetrators putting on tactical vests and equipping themselves with rifles. The SUV then continued onward onto East San Bernardino Avenue and entered a suburban area, where the shooter in the backseat, identified as Malik, began firing at police through the back window at 3:08:43 p.m. Eventually, at 3:09:22 p.m., the SUV stopped in a neighborhood about 1.7 miles (2.7 km) away from the scene of the initial attack. Immediately afterwards, the couple continued to exchange fire with police from inside their vehicle at around 3:00 p.m. Malik opened the side passenger door and shot at the first police vehicle to stop, which was about 210 feet (64 m) away from the SUV. Farook exited out of the driver's front door, stood between the two open doors, and opened fire on the same vehicle. The gunfire lasted for around five minutes before both perpetrators were killed. Police used BearCat armored personnel carriers in confronting the shooters. Because authorities feared that the vehicle could contain explosives, the "Rook"—a motorized battering ram with a protective shield—was used to investigate the SUV. The sheriff's department confirmed that a man and a woman were killed. Seven police agencies were involved in the final shootout, with 23 officers firing a combined total of at least 440 rounds. The perpetrators fired at least 81 rounds. During the shootout, police asked residents to stay indoors. Nearly 2,500 rounds of .223-caliber and 9mm ammunition were recovered from the vehicle, along with medical supplies and a trigger apparatus believed to be for the explosives left behind at the Inland Regional Center. In the Inland Regional Center attack, 14 civilians were killed. They ranged in age from 26 to 60. 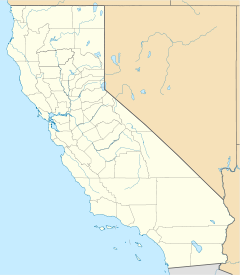 Nine were residents of San Bernardino County; the others were from nearby Riverside, Los Angeles, and Orange counties. Three of the deceased victims‍—‌Isaac Amanios, Bennetta Betbadal, and Tin Nguyen‍—‌had come to the United States to escape violence or persecution in their home countries of Eritrea, Iran, and Vietnam, respectively. Thirteen of the fourteen dead were county employees; ten were environmental health specialists. Those ten made up about 25 percent of the county's health inspectors. According to autopsy reports released on May 27, 2016, the 14 deceased all died from multiple gunshot wounds, and almost all of them were shot in the back. Twelve of them died almost immediately from their wounds, while the other two, Shannon Johnson and Bennetta Betbadal, later died at a makeshift triage center set up across the street from the Inland Regional Center. In addition to the 14 killed, 22 others were seriously injured, either by bullets or other causes. Once the injured were extracted from the building, it took about 15 minutes for them to get to the hospital. Five patients were transported to nearby Loma Linda University Medical Center[a] and six were transported to Arrowhead Regional Medical Center. [b] The last of those hospitalized for injuries sustained in the attack was discharged from Loma Linda University Medical Center on March 3, 2016, over three months after the event. In addition to the 22 injured, one police officer was hospitalized with a bullet wound suffered during the gunfight; another officer was injured by flying glass or shrapnel. One of the injured officers did not realize he had been hit until thirteen hours later. After the attack, police identified married couple Syed Rizwan Farook and Tashfeen Malik as the perpetrators. They used two illegally transferred .223-caliber semi-automatic rifles which had been modified to defeat California's magazine release requirements, two 9 mm caliber semi-automatic pistols, and an improvised explosive device in the attack. Neither shooter had a criminal record, and neither was on Terrorist Screening Database lists. The New York Times reported that "by all accounts so far, the government had no concrete intelligence warning of the assault," although the federal government has long feared "homegrown, self-radicalized individuals operating undetected before striking one of many soft targets" in the United States. On December 3, 2015, the FBI took over as the leading federal law enforcement agency on the case, treating the probe as a counter-terrorism investigation. The FBI is conducting a "massive" investigation, and by December 7, 2015, had already conducted about 400 interviews and collected about 320 pieces of evidence. On January 5, 2016, the FBI began investigating what the perpetrators' activities were during an 18-minute period from 12:59 p.m. to 1:17 p.m. on the day of the shooting, and they appealed to the public for assistance. Investigators believe that the two were driving around the city in an apparent attempt to remotely detonate the explosive device they left behind at the scene of the attack. The investigation found that the perpetrators were inspired by Islamic terrorists and terrorist organizations. In Senate Judiciary Committee testimony given on December 9, 2015, FBI Director James B. Comey said that they "were talking to each other about jihad and martyrdom," before their engagement and as early as the end of 2013. They reportedly spent at least a year preparing for the attack, including taking target practice and making plans to take care of their child and Farook's mother. Comey has said that although the investigation has shown that the couple was radicalized and possibly inspired by foreign terrorist organizations, there is no indication that they were directed by such a group or part of a broader cell or network. On December 16, 2015, Comey said, "We can see from our investigation that in late 2013, before there is a physical meeting of these two people [Farook and Malik] resulting in their engagement and then journey to the United States, they are communicating online, showing signs in that communication of their joint commitment to jihadism and to martyrdom. Those communications are direct, private messages." Comey said that the FBI's investigation had revealed that the perpetrators were "consuming poison on the Internet" and both had become radicalized "before they started courting or dating each other online" and "before the emergence of ISIL." As a result, Comey said that "untangling the motivations of which particular terrorist propaganda motivated in what way remains a challenge in these investigations, and our work is ongoing there." In one Arabic-language online radio broadcast, ISIL described the perpetrators as "supporters" following the attack. During the police investigation into the attack, The New York Times reported that this language indicated "a less direct connection" between the shooters and the terrorist group. In a December 5, 2015, English-language broadcast on its Bayan radio station, ISIL referred to the couple as "soldiers of the caliphate," which is a phrase ISIL uses to denote members of the terrorist organization. The New York Times reported that it was unclear why the two versions differed. On December 1, 2016, nearly one year after the attack, authorities speculated on Farook's forced participation in the training event and Christmas party as the trigger. Newly discovered emails indicated that Malik had objected to the party and did not want her husband to participate. San Bernardino Police Chief Jarrod Burguan said in an interview with ABC News that Malik stated that "she didn't think that a Muslim should have to participate in a non-Muslim holiday or event" in an online account. After the deaths of the perpetrators, the focus shifted to a small townhouse in Redlands, a few miles away from San Bernardino; the place where Farook and Malik met after the shooting and where they lived. By 6:00 p.m. PST on December 2, 2015, police were executing a search warrant on the house. According to the San Bernardino police chief, Farook and Malik were listed in the rental agreement. Police used robots to search the house. Investigators found 2,000 9-mm handgun rounds, 2,500 .223-caliber rounds, and the tools that could be used to make improvised explosive devices. The FBI also initially reported that it had removed twelve pipe bombs from the perpetrators' home; the FBI clarified several days later that it had recovered 19 types of pipes that could be converted into bombs from the home. The Bureau of Alcohol, Tobacco, Firearms and Explosives (ATF) was able to complete an "urgent trace" on the firearms less than two hours after the guns were recovered. The couple was not completely successful in destroying their personal electronics, including mobile phones and hard drives, prior to the attack. Pursuant to a federal search warrant, the authorities also searched a townhouse in Corona twice, where Farook's brother and father lived. The FBI said that the family was cooperating and authorities did not arrest anyone. On December 10, 2015, federal authorities began searching Seccombe Lake park in downtown San Bernardino after receiving a tip that the shooters visited the area on the day of the attack. A dive team was sent into the shallow edge of the lake to search for evidence; nothing relevant was found. After the FBI completed a search of the perpetrators' townhouse, it was turned over to its landlord. On December 4, 2015, the landlord used a crowbar to open the door to the home and allowed reporters and photographers to "swarm" the home. [c] NBC News correspondent Kerry Sanders said that Inside Edition paid the building's landlord US$1,000 to access the home. MSNBC, CNN, and Fox News all broadcast live video from the home, showing images of personal photographs, documents, identification cards, and baby items. The scene was described as having a "media circus" atmosphere. Sanders, in particular, was criticized for showing close-up images of children's photographs and Farook's mother's identification card; the network later said it regretted doing so. According to legal experts, the broadcast was not illegal, but it raised concerns about journalistic ethics. The Washington Post media critic Erik Wemple wrote that the media's behavior was "terrible" and opined that "this was a story poorly suited to live coverage, without the time and ability to document a scene, determine what's relevant and provide the filtered product to readers." Al Tompkins of the Poynter Institute for Media Studies said that the decision to enter the apartment was "ludicrous" and critiqued the "callous and competitive behavior" of the media on a grave story. On February 9, 2016, the FBI announced that it was unable to unlock one of the mobile phones they had recovered because of the phone's advanced security features. The phone was an iPhone 5C owned by the county and issued to its employee, the shooter Farook. The FBI first asked the National Security Agency to break into the phone, but the NSA was unable to do so. As a result, the FBI asked Apple Inc. to create a new version of the phone's iOS operating system that could be installed and run in the phone's random access memory to disable certain security features. Apple declined due to its policy to never undermine the security features of its products. The FBI responded by successfully applying to a United States magistrate judge, Sherri Pym, to issue a court order, mandating Apple to create and provide the requested software. The order was not a subpoena, but rather was issued under the All Writs Act of 1789. Apple announced their intent to oppose the order, citing the security risks that the creation of a backdoor would pose towards their customers. It also stated that no government had ever asked for similar access. The company was given until February 26, 2016, to fully respond to the court order. In response to the opposition, on February 19, 2016, the U.S. Department of Justice filed a new application urging a federal judge to compel Apple to comply with the order. The new application stated that the company could install the malware on the phone in its own premises, and after the FBI had hacked the phone via remote connection, Apple could remove and destroy the malware. The same day, Apple revealed that it had discussed with the FBI four methods to access data in the iPhone in early January, but one of the more promising methods was ruled out by a mistake during the investigation of the attack. After the shooter's phone had been recovered, the FBI asked San Bernardino County, the owner of the phone, to reset the password to the shooter's iCloud account in order to acquire data from the iCloud backup. However, this rendered the phone unable to back up recent data to iCloud unless its pass-code is entered. This was confirmed by the Department of Justice, which then added that any backup would have been "insufficient" because they would not have been able to recover enough information from it. The San Bernardino County District Attorney, Michael Ramos, filed a brief claiming the iPhone may contain evidence of a possible third shooter and a "dormant cyber pathogen" that could have been introduced into the San Bernardino County computer network. On March 28, the Department of Justice announced that it had unlocked the iPhone and withdrew its suit. Initial reports, citing anonymous sources, stated that Israeli company Cellebrite was assisting the FBI with this alternative. However, The Washington Post reported that (according to anonymous "people familiar with the matter") the FBI instead paid "professional hackers" who used a zero-day vulnerability in the iPhone's software to bypass its ten-try limitation, and did not need Cellebrite's assistance. National reactions to Apple's opposition of the order were mixed. A CBS News poll that sampled 1,022 Americans found that 50% of the respondents supported the FBI's stance, while 45% supported Apple's stance. In March 2018, the Los Angeles Times reported that "the FBI eventually found that Farook's phone had information only about work and revealed nothing about the plot." Initial news reports and witness accounts following the attack led to a search for up to three shooters, but police eventually determined that there were only two since only two firearms were used in the attack according to ballistics evidence. Immediately following the shootout that killed the perpetrators, investigators in armored vehicles at the perpetrators' townhouse considered ordering an evacuation, but instead ordered the neighborhood to shelter in place and cordoned off the area. From 4:00 p.m. to 5:30 p.m., police asked residents of the area to stay in their homes with doors locked and secure after residents reported a person jumping fences. No one was found; the reports may have been from officers at the scene. A person detained after running away from the scene of the shootout was thought to be a possible third suspect, but police determined that he was not connected to the shooting; the person was booked on an unrelated outstanding misdemeanor warrant. On February 18, 2016, the FBI revealed that they have not ruled out the possibility of a third shooter, but clarified that they are continuing to operate under the assumption that only two shooters were involved. Some witnesses who claimed to have seen three gunmen at the Inland Regional Center continued to assert their accounts. As of December 1, 2016, it was reported that the FBI has yet to rule out that possibility. Enrique Marquez Jr., a next-door neighbor of Farook's until May 2015, and who is related to him by an immigration fraud sham marriage, was investigated in connection with his purchase of the two rifles used in the attack, a charge to which he agreed to plead guilty. There is no record of a transfer of the weapons from Marquez to the attackers. Marquez converted to Islam in 2007. Though not regularly, Marquez attended both the Islamic Center of Riverside and the Islamic Society of Corona-Norco four or five years before the attack, and stood out because of his Hispanic background. Federal prosecutors allege that in 2011, Farook and Marquez conspired to carry out shooting and bombing attacks at the library or cafeteria at Riverside Community College, where both were students, and on rush-hour traffic on California State Route 91 in Corona. Marquez reportedly told authorities that he and Farook tried to carry out the attack in 2011 or 2012. This plan was abandoned after three men in the Inland Empire were arrested for their plan to kill Americans in Afghanistan. Though the FBI had previously disputed this fact, Marquez was found to have ties to these men in 2016. By 2011, Marquez spent most of his time in Farook's home, listening to, watching, and reading radical Islamist propaganda, including Inspire magazine, the official publication of Al-Qaeda in the Arabian Peninsula (AQAP), and videos produced by Al-Shabaab as well as the sermons of Anwar al-Awlaki. On November 29, 2014, Marquez entered into a sham marriage with Mariya Chernykh, a Russian woman who arrived in the U.S. on a J-1 visa and the sister of the wife of Farook's older brother. According to The New York Times, Marquez was said to have been paid between $5,000 and $10,000 to enter the green card marriage so that Chernykh could become a U.S. citizen. Early on December 5, 2015, federal authorities searched Marquez's Riverside home under a federal search warrant. He waived his Miranda rights and cooperated "extensively" with federal investigators, "discussing at length his relationship with" Farook. On December 17, 2015, Marquez was arrested and charged in the U.S. District Court for the Central District of California with three federal criminal counts: conspiracy to provide material support for terrorism (i.e., himself, a firearm, and explosives); making a false statement in connection with acquisition of firearms ("straw purchase"); and immigration fraud. Another "straw purchase"-related charge and another immigration fraud charge were added on December 30, 2015. He faces a maximum of 50 years in prison if convicted on all of the charges. The court ordered Marquez held without bail, saying that Marquez would pose a danger to the community if released. Marquez initially pleaded not guilty to all of the charges against him. On April 28, 2016, he was named in an indictment as a co-conspirator in document fraud in relation to the arrest of Mariya Chernynk. In February 2017, as part of a plea agreement with federal prosecutors, Marquez pleaded guilty to conspiracy to provide material support to terrorists and to making false statements in connection with the purchase of a firearm. Marquez also admitted to plotting with Farook the alleged abandoned terror plots in 2011. As part of the plea agreement, the government agreed to dismiss the marriage fraud charges. The maximum sentence is 25 years in prison plus a $500,000 fine. Testifying in court when Marquez's guilty plea was entered, the father of one of the victims denounced the plea agreement, saying that it would lead to a sentence that was too light; the U.S. Attorney explained that while he understood the father's pain, the government did not have enough sufficient evidence to prosecute Marquez for more serious offenses. The sentencing hearing was initially set for November 6, 2017, but it was postponed to February 26, 2018, four days before. Sentencing was postponed indefinitely on June 26, 2018, after Marquez obtained a new attorney. Syed Raheel Farook, the brother of gunman Rizwan Farook, 31; his wife Tatiana Farook, 31; and her sister Mariya Chernykh, who was Marquez's "wife" in the sham marriage, were all subject to an investigation into Chernykh's sham marriage with Marquez, which arose during the investigation into the attack. Raheel Farook served in the U.S. Navy in the Iraq War from 2003 to 2007, and was awarded two medals for service during the War on Terror. He was described by friends and neighbors as sociable and extroverted compared with his brother Rizwan. In 2011, he married Tatiana, a Russian citizen who immigrated to the U.S. in 2003 from her home village of Vysokiy, located 400 miles (640 km) from Moscow. Tatiana had first settled into Richmond, Virginia, immediately after arriving into the U.S. on a J-1 visa. There, she married another man, but the couple divorced in 2010 and Tatiana moved to southern California, where she met Raheel. In California, she began launching several businesses, including a kiosk in The Shops at Montebello, a shopping mall. Mariya Chernykh, the younger sister of Tatiana Farook and also from the village of Vysokiy, left Russia and entered the U.S. on a J-1 visa in July 2009 and failed to depart on October 30 of the same year as required by her visa. At some point since her arrival in the U.S., she made an application for asylum, though it is currently unknown if it was ruled on. She dated a Los Angeles man for years and had a child with him, but were forced to split up due to the sham marriage. On November 29, 2014, Chernykh entered into a sham marriage with Marquez in order to gain legal status in the U.S. According to The Los Angeles Times, after the sham marriage, Chernykh struggled to play her part; on Christmas 2014, she was urged by Tatiana to stop posting online photos of herself with her ex-boyfriend. She began working with her sister as a saleswoman at her sister's kiosk. In January 2017, she pled guilty to immigration fraud. In late 2015, Chernykh and Marquez were set to be interviewed by immigration officials. As a result, according to the indictment, Raheel Farook created a fraudulent back-dated lease agreement that claimed the two were living with him and his wife since their marriage. Raheel and Tatiana Farook also allegedly staged family photos of Chernykh and Marquez, and established a joint transaction account for them. Prosecutors allege that on December 3, the day after the Inland Regional Center attack, Tatiana Farook lied to investigators about Chernykh and Marquez's marriage. On February 18, 2016, the FBI searched a residence belonging to Raheel Farook, but did not comment on the exact nature of the search. Raheel was not arrested or named a suspect at that time. On April 28, 2016, the Farooks and Chernykh were arrested and charged with conspiracy to knowingly make false statements under oath with respect to immigration documents. These charges carry a maximum sentence of five years. All three pleaded not guilty to the charges against them in a federal court in Riverside. Raheel Farook's mother and Chernykh's ex-boyfriend agreed to post their bails. The day following her arrest, Chernykh posted her bail, but she was transferred to the custody of the U.S. Immigration and Customs Enforcement by the U.S. Marshals Service and is being held at Adelanto Detention Center. Deportation proceedings against her are pending, but are on hold until the criminal case is resolved. U.S. Attorney Eileen Decker issued a statement, saying that the charges arose from the investigation into the attack. The indictment alleged that Chernykh paid Marquez to enter into a sham marriage to obtain U.S. immigration benefits. The U.S. Attorney's Office said in a statement that Raheel and Tatiana Farook conspired in the sham marriage by "witnessing Marquez and Chernykh's wedding, taking staged family pictures of Marquez and Chernykh, establishing a joint checking account for the couple and creating a back-dated lease for Marquez and Chernykh to create the illusion that they shared a marital residence." Chernykh pleaded guilty to conspiracy, perjury, and two counts of making false statements. She was set to be sentenced on November 20, 2017, and faced up to 20 years in prison. In January 2017, Raheel Farook pleaded guilty to one felony count of conspiracy to commit immigration fraud, arising from his making of a false statement in support of Chernykh's application for permanent residency. The following month, Tatiana Farook pleaded guilty to the same crime. The maximum sentence in both cases is five years in prison, three years of supervised release, and a $250,000 fine. Both were initially set to be sentenced on November 13, 2017, but this was postponed to March 19, 2018, three days before. On March 18, 2016, California State Assemblyman Freddie Rodriguez of the Joint Legislative Committee on Emergency Management conducted a hearing in which first responders were to share details of the response to the attack and possible aspects that could be improved on. During the hearing, Michael Madden, a lieutenant with the San Bernardino Police Department and one of the first responders to respond to the Inland Regional Center, requested state aid in encrypting police radio channels. He explained that police communications were playing out real-time across the U.S. during the attack, being broadcast on YouTube and other network systems. According to Madden, this put first responders at risk, as potential suspects could have been monitoring the communications and tracking the actions of law enforcement. He added that the City of San Bernardino, as well as San Bernardino County, were moving towards a radio system that will incorporate encrypted frequencies. President Barack Obama called for "common sense" gun safety laws and stronger background checks as part of a bipartisan effort to reduce the frequency of such shootings. In an interview with CBS News' Norah O'Donnell, Obama said, "We have a pattern now of mass shootings in this country that has no parallel anywhere else in the world." Obama called for legislation to block people on the anti-terrorism No Fly List from purchasing weapons. Speaker of the House Paul Ryan opposed this proposal, saying that denying persons on the list the right to bear arms would violate their due process rights. After the shooting, some Democrats sought to tighten federal gun control regulations, "laying blame on a culture that allows even people who are not permitted to board airplanes to buy guns with ease," while some Republicans criticized what they believe to be "the Obama administration's unwillingness to come to terms with the true threat posed by Muslim extremists." Members of the California State Legislature also proposed to revisit some gun-control proposals that had previously stalled, with one assemblyman proposing a prohibition of the sale of guns to those on the federal No Fly List. On January 8, 2016, Representative Pete Aguilar of Redlands spoke on the floor of the House of Representatives and called for gun control. After the shooting, gun sales in California increased by more than 18,000, following an overall down year for statewide sales. Applications for concealed carry permits also rose 750 percent in San Bernardino County. The families of the shooting victims reacted to President Obama's executive action to tighten gun regulation and expand background checks. A number of family members expressed support for the plans as necessary and long overdue, while a few doubted whether they would reduce gun violence. Prior to the attack, a measure was sponsored by Senator Dianne Feinstein; it would allow the U.S. to ban sales of guns and explosives to people listed on government watch lists of suspected terrorists. The so-called "Feinstein Amendment" came to the Senate floor one day after the attack, but failed on a party-line vote, with Democrats in favor and Republicans opposed. On June 16, 2016, Tina Meins, the daughter of one of the fourteen people killed in the attack, spoke in a press conference arranged by Connecticut Senator Chris Murphy, just a day after Murphy launched a fifteen-hour filibuster on the U.S. Senate floor, regarding federal gun control legislation. In the press conference, Meins asserted her support for gun control and questioned the Senate's vote against the Feinstein Amendment, explaining that more than 2,000 terror suspects were able to purchase firearms since 2004. The New York Times published a front-page editorial, the first in 95 years, which called for gun-control measures. The Times editorial board wrote: "It is a moral outrage and a national disgrace that civilians can legally purchase weapons designed specifically to kill people with brutal speed and efficiency." Arthur O. Sulzberger, Jr., publisher of the Times, said the placement of the editorial on the front page was "to deliver a strong and visible statement of frustration and anguish about our country's inability to come to terms with the scourge of guns." On April 20, 2016, California state lawmakers gave initial approval to five gun control bills, which outlawed assault weapons with detachable magazines, prohibited the sale of rifles with the "bullet button" device, banned possession of magazines holding more than ten rounds, required the collection of information on people intending to buy ammunition for any kind of firearm, and required improvised firearms to be registered with the state and given a serial number. The measures have been opposed by a number of politicians and gun rights organizations such as the National Rifle Association and Gun Owners of California. Some of the bills were approved by Governor Brown on July 1, 2016, and went into effect in 2017. On January 13, 2016, the wife of one of the slain victims filed wrongful death claims against San Bernardino County and dozens of unidentified individuals, and also sought damages totaling US$58 million, saying that her husband's death was preventable and caused by negligence. On January 22, 2016, three relatives of another slain victim filed identical claims against the county for similar reasons and also claimed that the county fostered a hostile workplace environment and failed to provide safety to the Inland Regional Center's employees. The three relatives sought for a total of US$204 million. At least five San Bernardino city residents filed claims with the City of San Bernardino seeking reimbursement for least US$12,000 in property damage caused by bullets in the shootout, which hit a resident's truck and other items; the City Council voted 5–2 to deny the claims. The city police were one of seven law enforcement agencies on the scene, and it is uncertain which agency fired what bullets. On May 31, 2016, federal prosecutors filed a lawsuit against Farook's family. This lawsuit would allow them to seize both the proceeds of two life insurance policies (and the policies themselves) held by Farook, both of which listed Farook's mother as the beneficiary. One policy worth US$25,000 was taken out by Farook in 2012 when he started working for the county, while the other, worth US$250,000, was taken out the following year. According to NBC News, "Under federal law, assets derived from terrorism are subject to forfeiture. A federal judge must approve an application before the government can seize the money." In the six-page lawsuit, the life insurance company claimed that Farook's mother was aware of her son's intentions to carry out the attack, and reasoned that she should not be entitled to the benefits as a result. On September 2, 2016, government officials said they wanted to give the money to the victims' families. On May 5, 2016, a group created by San Bernardino County announced plans for a memorial dedicated to the victims and survivors of the attack, as well as the first responders involved. Details about the design of the memorial, meant to be a fountain and garden, were released on the next day. Groundbreaking was slated to begin on June 2, the six-month anniversary of the attack. As of 2017, however, the memorial was still in the development stage. Such memorials usually take five to ten years to be completed. Hours after the attack, classes were canceled at California State University, San Bernardino and at Loma Linda University following a bomb threat that was called in to the university's medical center, where many injured victims were being treated. On December 15, after the Los Angeles Unified School District received a threat of attack by "explosive devices" and other means, Superintendent of Schools Ramon Cortines ordered the closure of all schools in the district for the day. Cortines cited the San Bernardino incident as an influence in his decision to close the schools. New York City received the same threat, but the New York City Department of Education determined it was a hoax and took no action. On September 9, 2016, the Police Foundation and the U.S. Department of Justice's Office of Community Oriented Policing Services (COPS Office) released a review of law enforcement response to the attack. The review provided a detailed overview of the incident response; lessons learned to improve responding agencies' policies, procedures, tactics, systems, culture, and relationships; and guidance to other agencies and first responders as they prepare for responses to terrorist, active shooter, or other hostile events, and mass-casualty incidents. On the one-year anniversary of the attack, it was reported that a number of survivors were accusing San Bernardino County of cutting off support for them. This included a lack of access to counseling or antidepressant medication, the injured attempting to get surgeries approved and physical therapy covered, a lack of assistance in dealing with a complex compensation workers' program, and health insurers refusing to cover injuries because they occurred during an act of workplace violence. A county spokesman denied the accusations and said, "The county is, and always has been, committed to ensuring our employees get all the care they need." On the first anniversary of the attack, a bicycle ride was held at 7:30 a.m.; dozens of local bicyclists, many of them police officers, rode 14 miles (23 km), with one mile representing each person killed in the attack. A remembrance ceremony was held at a local blood bank at 8:00 a.m. Later that morning, over 200 people at the Inland Regional Center held a moment of silence outside the building. At 3:30 p.m., a "Peace Garden" was opened on the campus of California State University, San Bernardino; it was dedicated in the memory of five of the victims, who were all alumni of the university. Following the attack, county offices, including the Department of Public Health, were closed the remainder of the week, with only the most essential services remaining open. Most of the county's 20,000 employees returned to work on December 7, 2015, though Inland Regional Center personnel worked remotely. The Inland Regional Center remained closed until January 4, 2016. Its two main buildings now operated under heightened security; the building where the attack took place will remain closed indefinitely. The location of a planned train station next to the Center was moved eastward due in part to the Center's new security procedures. The City of San Bernardino incurred up to US$1 million in unforeseen expenses (such as the deployment of more police officers on extended shifts) as a result of the attack, and planned to seek state and federal emergency funds to help cover the costs. California Governor Jerry Brown declared a state of emergency in San Bernardino County, since roughly 35 percent of the Department of Public Health employees were among those killed or wounded in the attack, and the attack left the county with very few health inspectors to do critical work. The emergency declaration will allow the state of California to send in additional health inspectors for assistance. On March 22, 2016, San Bernardino County unanimously voted to accept a US$1.5 million agreement with the California Association of Environmental Health Administrators to provide up to 30 temporary health inspectors to replace those currently on leave. As of May 29, 2016, 50 percent of county environmental health staff remain on leave, and temporary staff remain on loan from Riverside, Orange, Los Angeles, Contra Costa, Marin, Ventura, and San Luis Obispo Counties. About 2,000 local residents gathered at a candlelight vigil at San Manuel Stadium in downtown San Bernardino the day after the attack. At the vigil, Mayor R. Carey Davis praised the first responders, said that the tragedy "has forever impacted our community," and talked about how the community had come together following the attack. Five of the victims and one of the killers were graduates of California State University, San Bernardino; on December 8, 2015, more than 1,000 students, alumni, and community members attended a candlelight vigil on campus in honor of the victims. On January 4, 2016, a memorial for the slain victims was held at the Citizens Business Bank Arena in nearby Ontario, with thousands in attendance, including Governor Brown, California Attorney General Kamala Harris, former New York City mayor Rudy Giuliani, and Christian pastor Rick Warren. After the attack, a relief fund for San Bernardino was set up and has raised US$2.48 million as of March 3, 2016. On July 5, 2016, the relief fund finished distributing the entirety of its raised money to the families of the deceased victims (which all received 80 percent of the funds), the 22 people injured (who received 15.5 percent), and witnesses to the shooting (who received 4.5 percent). There were 75 named recipients in total, though the two police officers injured in the shootout with the perpetrators declined their share of the compensation. President Barack Obama ordered U.S. flags to be flown at half-staff at the White House, public buildings, military installations, Navy ships, embassies, and diplomatic missions. On December 18, 2015, President Obama and First Lady Michelle Obama met in San Bernardino with families of the fatal victims, and emergency personnel who first responded to the incident. The governors of several states also ordered flags to be lowered to half-staff in their states as well. In California, the annual Christmas tree lighting ceremony at the State Capitol was canceled and all flags were lowered to half-staff. Twelve of the dead were members of the Service Employees International Union; SEIU international president Mary Kay Henry said, "Our hearts are broken from this tragedy. ... We will unite to demand that our nation does everything possible to ensure that no more families have to feel this pain, sadness and loss ever again." American Muslim organizations, including Council on American–Islamic Relations (CAIR) and Islamic Society of Orange County, condemned the attacks. A night vigil was held the day after the attacks at the largest mosque in the San Bernardino County, the Ahmadiyya Baitul Hameed Mosque. In the aftermath of the shooting, CAIR reported an escalation in anti-Muslim hate crimes in the U.S., including the throwing of a pig's head at a mosque in Philadelphia, the beating of a Queens shop owner, and incidents of death threats and vandalism. A number of attacks and incidents of vandalism in southern California in the weeks following the attack were investigated as anti-Muslim hate crimes. A "Muslims United for San Bernardino" campaign to raise money to assist victims' families with funeral expenses and other needs raised more than US$152,000 from more than 1,000 donors, becoming the most successful crowdfunding venture Muslim Americans have ever launched. On December 15, 2015, three senior White House officials‍—‌Valerie Jarrett, Cecilia Munoz, and Ben Rhodes‍—‌met with American Muslim and Sikh leaders to discuss the increase in violent attacks upon members of the American Muslim and Sikh community following the attack (Sikhs are not Muslims but have been occasionally targeted in anti-Islamic bias-motivated crimes). On January 19, 2016, Dabiq, the online propaganda magazine of the Islamic State of Iraq and the Levant, released an issue praising the shooting and the perpetrators. Governor Brown said, "Our thoughts and prayers are with the victims' families and everyone affected by the brutal attack." On September 12, 2016, Brown and California Attorney General Kamala Harris awarded eight police officers the Medal of Valor for their roles in emergency response during the attack and the subsequent shootout with the perpetrators. [No] sane Pakistani or Muslim could even think about doing such acts, and only few people are using the name of Islam for their wrongdoings, which is defaming our religion. Such heinous acts also lead to serious difficulties for millions of Muslims who live in Western and other countries, and the extremists and nationalist elements in those societies look at Muslims with suspicions. Islamophobia is being spread around the world. What the terrorists are doing has nothing to do with Islam. In an address to the nation delivered from the Oval Office on December 6, 2015, President Obama declared the shooting an act of terrorism, referring to the shooters as having "gone down the dark path of radicalization" and embracing a "perverted version of Islam." Obama said that "the threat from terrorism is real, but we will overcome it" and promised that the United States will "destroy ISIL and any other organization that tries to harm us." Obama also outlined the ongoing fight against ISIL (including U.S. airstrikes, financial sanctions, and targeted special operations) and urged Americans to not give in to fear. It was just the third speech from the Oval Office in the seven years of Obama's presidency. Many Republican U.S. presidential candidates at the time, among them Marco Rubio, Ted Cruz, and Donald Trump, responded by claiming the United States was at war. Chris Christie, who was campaigning in Iowa at the time, declared, "What the fact is this is a new world war and one that won't look like the last two. And this is one where it's radical Islamic jihadists everyday are trying to kill Americans and disrupt and destroy our way of life." Jeb Bush stated, "If this is a war, and I believe it is since they have declared war on us, we need to declare war on them." In the New York Review of Books, Wyatt Mason observed that a mass shooting at a Colorado Springs Planned Parenthood clinic, committed by a devout Christian a week earlier, did not lead to the kind of rhetorical outpouring produced by the San Bernardino attack, and argued that the difference in response suggested racism was at work. Some Muslim leaders objected to Obama's request that American Muslims help to "root out" extremism in their communities. Palestinian-American activist Linda Sarsour commented, "I'm tired of this idea that extremism can only mean Muslims or Islam or people who are associated with Islam ... why is it that we're only obsessed with Islam and Muslim communities?". "We would never ask any other faith community to stand up and condemn acts of violence committed by people within their groups", she said. On June 18, 2016, President Obama issued a Weekly Address addressing the San Bernardino attack and a mass shooting that occurred at a gay nightclub six days earlier. In the speech, he addressed the topics of homegrown terrorism and gun control. Being tough on terrorism, particularly the sorts of homegrown terrorism that we've seen now in Orlando and San Bernardino, means making it harder for people who want to kill Americans to get their hands on assault weapons that are capable of killing dozens of innocents as quickly as possible. That's something I'll continue to talk about in the weeks ahead. In response to the shooting, Donald Trump called for a "total and complete" ban on Muslims entering the United States "until our country's representatives can figure out what is going on." Trump's statement drew widespread condemnation, including from the White House, the Pentagon, the United Nations, and foreign leaders such as British Prime Minister David Cameron and French Prime Minister Manuel Valls. Trump's suggestion was met with condemnation from both Democratic and Republican candidates for the presidency in 2016. Trump, in an interview on Good Morning America, cited the internment of Japanese Americans, German Americans, and Italian Americans during World War II as precedent for his proposal. The attack reignited the debate over whether U.S. government should expand electronic surveillance of Americans, and specifically whether Congress should adopt legislation mandating that technology companies provide a backdoor so that law enforcement has access to encrypted communication. Technology companies oppose such legislation, arguing that it would unacceptably undermine security. At a December 9, 2015, hearing before the Senate Judiciary Committee, FBI Director Comey called upon tech companies offering end-to-end encryption (such as Apple) to revise their "business model." There is no evidence that the shooters in San Bernardino used encrypted communications, although Comey said the attackers in the Curtis Culwell Center attack earlier the same year exchanged encrypted text messages. Senators Richard Burr and Dianne Feinstein, the chairman and ranking member, respectively, of the Senate Intelligence Committee, are working on encryption legislation. Additionally, Feinstein reintroduced legislation that would require tech companies to report "knowledge of any terrorist activity" they become aware of, a measure that worried Silicon Valley technology companies, which object to such measures on privacy grounds. The use of BearCat armored vehicles by police during the shootout revived debate over use of military and military-style equipment by police, with some law-enforcement officials saying that the shooting showed a need for police to acquire such equipment. ^ Loma Linda University Medical Center is the only Level I trauma center in the region. ^ The 22nd injured victim didn't realize at first that she was injured, and later checked herself into a hospital. ^ CNN's Anderson Cooper called the scene "bizarre" during the network's live broadcast. ^ a b Botelho, Greg; Ellis, Ralph (December 4, 2015). "San Bernardino shooting investigated as 'act of terrorism'". CNN. Retrieved December 5, 2015. ^ a b c d "F.B.I. Treating San Bernardino Attack as Terrorism Case". The New York Times. December 4, 2015. Retrieved July 26, 2016. ^ a b c d e Blankstein, Andrew; Jamieson, Alastair (December 3, 2015). "San Bernardino Shooters Used Four Guns, Explosive Device: ATF". NBC News. ^ a b c Jones, Ashby; Frosch, Dan (December 3, 2015). "Rifles Used in San Bernardino Shooting Illegal Under State Law: Weapons were legally purchased with magazine locking devices but altered to make them more powerful, ATF finds". The Wall Street Journal. ^ a b c Serrano, Richard A.; Esquivel, Paloma; Winton, Richard (December 2, 2015). "Authorities identify couple who they believe killed 14 at San Bernardino Christmas party". Los Angeles Times. ^ "Police now say 21 people wounded in attack at California social service agency". Associated Press. December 3, 2015. Retrieved December 3, 2015. ^ a b c "San Bernardino Shooting: 22nd injured victim steps forward, FBI says". The Press Enterprise. December 10, 2015. Retrieved December 10, 2015. ^ Schuppe, Jon; Chuck, Elizabeth; Kwong, Helen (December 2, 2015). "San Bernardino Shooting is Deadliest Since Newtown". NBC News. ^ "San Bernardino shootings investigated as terrorism – FBI". BBC News. December 4, 2015. Retrieved December 4, 2015. ^ Chang, Cindy (December 26, 2015). "San Bernardino shootings cast a somber tone over Muslim conference in Chino". Los Angeles Times. Retrieved December 28, 2015. ^ Lewis, Paul (December 3, 2015). "San Bernardino shooting: what we know about the suspects". The Guardian. ^ Turkewitz, Julie; Mueller, Benjamin (December 3, 2015). "Couple Kept Tight Lid on Plans for San Bernardino Shooting". The New York Times. Retrieved December 3, 2015. ^ a b c Saslow, Eli; McCrummen, Stephanie (December 3, 2015). "'Where's Syed? ': How the San Bernardino shooting unfolded". The Washington Post. ^ Berman, Mark (December 2, 2015). "Active shooter reported in San Bernardino, Calif.; authorities say multiple suspects, victims". The Washington Post. Retrieved December 2, 2015. ^ a b c d e f g h Rong-Gong Lin II; Richard Winton (December 4, 2015). "San Bernardino suspects 'sprayed the room with bullets,' police chief says". Los Angeles Times. ^ a b c Nelson, Joe (May 27, 2016). "SAN BERNARDINO SHOOTING: Autopsy reports released for Dec. 2 victims (UPDATE 2)". The Press-Enterprise. Retrieved May 29, 2016. ^ "San Bernardino shooting suspect traveled to Saudi Arabia, was married, appeared to be living 'American Dream,' co-workers say". Los Angeles Times. December 2, 2015. ^ a b c d e f g h i j k l m n o p q r s t u v w "Bringing Calm to Chaos". Police Foundation. September 9, 2016. Retrieved September 9, 2016. ^ Whitcomb, Dan (January 5, 2016). "Public asked to help close 18-minute gap in San Bernardino probe". Yahoo! News. Reuters. Retrieved January 5, 2016. ^ KPCC Staff (December 2, 2015). "San Bernardino shooting update: 2 suspects ID'd as Syed Farook and Tashfeen Malik". KPCC. Retrieved December 3, 2015. ^ Botelho, Greg; Lah, Kyung; Brumfield, Ben (December 3, 2015). "Officials: San Bernardino shooter appears radicalized". CNN. ^ a b Hauser, Christine (December 3, 2015). "Police: 21 Wounded, 12 Pipe Bombs Discovered". The New York Times. ^ "Two Suspects Dead, Including a Woman". The New York Times. December 2, 2015. Retrieved December 3, 2015. ^ a b "Guns used in San Bernardino shooting were purchased legally from dealers". The Washington Post. December 3, 2015. ^ Daly, Michael (December 4, 2015). "San Bernardino: The Most Twisted Terrorist Plot Yet". The Daily Beast. Retrieved December 4, 2015. ^ a b Domonoske, Camila (December 5, 2015). "San Bernardino Shootings: What We Know, One Day After". NPR. ^ a b Pérez-Peña, Richard; Goldman, Adam (September 9, 2016). "'It Finally Clicked That This Wasn't an Exercise': Report Recounts San Bernardino Shooting". The New York Times. Retrieved September 9, 2016. ^ a b Rott, Nathan (December 2, 2016). "San Bernardino Shooting's Signs Have Faded, But Memories Remain Piercing". NPR. Retrieved December 2, 2016. ^ Mozingo, Joe (September 9, 2016). "'The worst thing imaginable:' Bodies and blood everywhere after San Bernardino terrorist attack, DOJ report shows". Los Angeles Times. Retrieved September 9, 2016. ^ "Three men tried to stop San Bernardino attack, report finds". Fox News Channel. Associated Press. September 10, 2016. Retrieved September 10, 2016. ^ Dean Hopkins, Christopher; Wagner, Laura (December 3, 2015). "Police Identify Suspects Killed After Deadly San Bernardino Shooting". NPR. Retrieved December 3, 2015. ^ "FBI investigating California massacre as 'act of terrorism'". Reuters. December 4, 2015. Retrieved December 4, 2015. ^ Schmidt, Michael S.; Pérez-Peña, Richard (December 4, 2015). "F.B.I. Treating San Bernardino Attack as Terrorism Case". The New York Times. ^ "Officials: San Bernardino shooters pledged allegiance to the Islamic State". Chicago Tribune. Retrieved December 8, 2015. ^ a b "AP sources: Bomb in San Bernardino attack was poorly built". Newsday. Associated Press. January 25, 2016. Retrieved January 25, 2016. ^ "Suspects in California Massacre Could Have Terror Links". NBC News. Retrieved December 4, 2015. ^ Chan, Melissa (December 3, 2015). "San Bernardino Suspects Left Behind Failed Remote-Controlled Bomb". Time. ^ a b Winton, Richard; Serrano, Richard A.; Knoll, Corina. "San Bernardino shooting: Attackers may have left bomb behind to kill police". Los Angeles Times. Retrieved December 8, 2015. ^ San Bernardino Fire Department [@SBCityFire] (December 2, 2015). "SBFD units responding to reports of 20 victim shooting incident in 1300 block of S. Waterman. SBPD is working to clear the scene" (Tweet) – via Twitter. ^ Siemaszko, Corey (December 2, 2015). "Authorities Respond to Report of Shooting in San Bernardino, California". NBC News. Retrieved December 2, 2015. ^ Whitcomb, Dan (December 2, 2015). "Reports of 20 victims wounded in shooting in San Bernardino, California". Reuters. Retrieved December 2, 2015. ^ "Up to 20 victims reported at active shooting in San Bernardino". KTVU. December 2, 2015. Retrieved December 2, 2015. ^ Avila, Willian; Iannetta, Gabriella (December 2, 2015). "14 Killed in SoCal Massacre, 2 Suspected Shooters Dead". NBC Southern California. ^ a b Carleton, Jim (December 6, 2015). "San Bernardino Police Chief Credits Training, Luck". The Wall Street Journal. ^ a b c Berman, Mark; Izadi, Elahe; Lowery, Wesley (December 2, 2015). "Police: At least 14 people killed, 14 others injured in mass shooting in San Bernardino, Calif". The Washington Post. ISSN 0190-8286. Retrieved December 2, 2015. ^ Whitcomb, Dan. "Three deaths reported, up to 20 wounded in San Bernardino, California shooting". Reuters. Retrieved December 2, 2015. ^ a b "20 victims reportedly wounded in San Bernardino, Calif., shooting". Canadian Broadcasting Corporation. Retrieved December 2, 2015. ^ Rosenfeld, Everett (December 2, 2015). "NBC News reports identity of suspected San Bernardino attacker". CNBC. Retrieved December 2, 2015. ^ a b c Myers, Amanda Lee; Pritchard, Justin (December 2, 2015). "14 dead, 17 wounded in California shooting; 2 suspects dead". U-T San Diego. Associated Press. ^ Glawe, Justin (December 2, 2015). "At Least 14 People Are Dead and More Wounded in a California Mass Shooting". Vice. Retrieved December 3, 2015. ^ "Farooq Saeed: Possible San Bernardino Shooting Suspect". The Inquisitr. December 2, 2015. Retrieved December 3, 2015. ^ "SUV in San Bernardino shooting had Utah tags, was rented in California". Salt Lake City: Fox 13. Retrieved December 6, 2015. ^ a b c "14 people killed in shooting at Inland Regional Center in San Bernardino". ABC7 Los Angeles. Retrieved December 3, 2015. ^ a b c d Hurt, Suzanne (May 27, 2016). "SAN BERNARDINO SHOOTING: Horror of Dec. 2 attack remains with rescuers". The Press-Enterprise. Retrieved May 29, 2016. ^ "Suspects in San Bernardino mass shooting identified as Syed Farook and Tashfeen Malik". ABC7. December 3, 2015. Retrieved December 3, 2015. ^ Lah, Kyung; Kravarik, Jason (February 12, 2016). "Gunfire, a text and a tear: A hero behind the San Bernardino shootout". CNN. Retrieved February 12, 2016. ^ Conrad, Caitlin (December 4, 2015). "Controversial military style police vehicles in demand during San Bernardino attack". KSBW. ^ San Bernardino County Sheriff's Department [@sbcountysheriff] (December 2, 2015). "Two suspects confirmed dead. 1 male & 1 female. The vehicle was cleared of any explosive devices" (Tweet). Retrieved December 2, 2015 – via Twitter. ^ "San Bernardino Sheriff's Department Advises Residents to Stay Indoors". ABC News. Retrieved December 2, 2015. ^ Zambelich, Ariel; Farrington, Dana (December 3, 2015). "PHOTOS: Scenes From San Bernardino, Calif". NPR. ^ a b Rosenfeld, Everette. "Upwards of 14 people dead in San Bernardino mass shooting: Police department chief". CNBC. Retrieved December 2, 2015. ^ a b Myers, Amanda. "14 dead, more than a dozen wounded in California shooting". Associated Press. Archived from the original on December 3, 2015. Retrieved December 2, 2015. ^ Poston, Ben; Hamilton, Matt; Nelson, Laura J. (December 5, 2015). "San Bernardino shooting victims: Who they were". Los Angeles Times. Retrieved December 5, 2015. ^ Karimi, Faith (December 5, 2015). "San Bernardino shooting: Who were the victims?". CNN. Retrieved December 6, 2015. ^ "Ten Killed in San Bernardino Were Environmental Health Specialists". Occupational Health and Safety Magazine. December 4, 2015. Retrieved December 5, 2015. ^ a b c Nelson, Joe (May 29, 2016). "SAN BERNARDINO MASS SHOOTING: County recovering slowly but steadily six months after attack". The Press-Enterprise. Retrieved May 30, 2016. ^ Parvini, Sarah; Serna, Joseph (May 27, 2016). "Coroner releases autopsies of San Bernardino terror victims: 'The room was in disarray'". Los Angeles Times. Retrieved May 29, 2016. ^ Myers, Amanda Lee (May 27, 2016). "San Bernardino mass shooting victim autopsies released, reveal terror attack details". KPCC. Retrieved May 29, 2016. ^ Bloom, Tracy; Pamer, Melissa; Moreno, John A.; Chambers, Rick (December 2, 2015). "Authorities Respond to 20-victim Shooting Incident in San Bernardino Fire Department". KTLA 5. Retrieved December 3, 2015. ^ a b c Medina, Jennifer; Pérez-Peña, Richard; Schmidt, Michael S.; Goodstein, Laurie (December 3, 2015). "San Bernardino Suspects Left Trail of Clues, but No Clear Motive". The New York Times. Retrieved December 3, 2015. ^ Keneally, Meghan (December 2, 2015). "San Bernardino Shooting: At Least 14 Dead in California, Suspect Hit in Shootout". ABC News. Retrieved December 2, 2015. ^ Margolin, Josh (December 10, 2015). "FBI Searching California Lake in Connection to San Bernardino Shooting". ABC News. Retrieved December 10, 2015. ^ Rokos, Brian; Molina, Alejandra (March 3, 2016). "SAN BERNARDINO SHOOTING: Last of those wounded in terrorist attack goes home". The Press-Enterprise. Retrieved March 6, 2016. ^ a b "San Bernardino Shooting Kills at Least 14; Two Suspects Are Dead". The New York Times. December 3, 2015. ^ San Bernardino County Sheriff's Department [@sbcountysheriff] (December 2, 2015). "Update: an officer working the #ActiveShooter was struck non life threatening injuries #SanBernardino" (Tweet) – via Twitter. ^ Soley-Cerro, Ashley; Kuzj, Steve; Pamer, Melissa (December 3, 2015). "Majority of San Bernardino Shooters' Victims Were County Employees: Police Chief". KTLA. Retrieved December 18, 2015. ^ "2 Suspects Named In Shootings That Killed 14, Wounded 17 In San Bernardino". CBS News. December 8, 2015. Retrieved December 8, 2015. ^ "California Man Charged with Conspiring to Provide Material Support to Terrorism and Being 'Straw Purchaser' of Assault Rifles Ultimately Used in San Bernardino, California, Attack" (Press release). US Department of Justice. December 17, 2015. ^ "Why California's Strict Gun Laws Didn't Matter In San Bernardino". HuffPost. December 3, 2015. ^ "Were the San Bernardino Shooters' Assault Rifles Modified to Thwart California Gun Laws?". The Trace. December 3, 2015. Retrieved February 28, 2018. ^ a b McGreevy, Patrick (December 4, 2015). "California lawmakers revive gun control ideas after San Bernardino attack". Los Angeles Times. ^ "Police: Married California Shooters Were Heavily Armed". VOA News. December 3, 2015. ^ Baker, Peter; Schmitt, Eric (December 5, 2015). "California Attack Has U.S. Rethinking Strategy on Homegrown Terror". The New York Times. ^ "FBI takes over San Bernardino investigation as Obama says it is 'possible' it was terrorism". The Washington Post. Retrieved December 3, 2015. ^ a b Serrano, Richard A.; Winton, Richard; Tanfani, Joseph; Parvini, Sarah (December 7, 2015). "San Bernardino shooters had been radicalized 'for some time,' went to shooting ranges before attack". Los Angeles Times. ^ a b Nagourney, Adam (December 6, 2015). "F.B.I. Says San Bernardino Assailants Were 'Radicalized'". The New York Times. ^ Gerber, Marisa; Queally, James; Winton, Richard (January 5, 2016). "FBI probes mystery of San Bernardino shooters' whereabouts for 18 minutes after massacre". Los Angeles Times. Retrieved January 5, 2016. ^ Barrett, Devlin (January 5, 2016). "San Bernardino Shooting: FBI Seeks Public's Help With Missing 18 Minutes". The Wall Street Journal. Retrieved January 5, 2016. ^ Mozingo, Joe (September 9, 2016). "'The worst thing imaginable:' Bodies and blood everywhere after San Bernardino terrorist attack, DOJ report shows". Los Angeles Times. Retrieved September 28, 2016. ^ Williams, Pete; Abdullah, Halimah (December 9, 2015). "FBI: San Bernardino Shooters Radicalized Before They Met". NBC News. ^ Goldman, Adam; Berman, Mark. "San Bernardino Attackers Talked 'About Jihad and Martyrdom' in 2013". The Washington Post. Retrieved December 9, 2015. ^ Blankstein, Andrew; Windrem, Robert; Williams, Pete; Esposito, Richard; Rappleye, Hannah (December 8, 2015). "San Bernardino Shooters Practiced for Attack a Year in Advance". NBC News. Retrieved December 8, 2015. ^ Zoroya, Gregg. "ISIL radio: Two supporters carried out San Bernardino massacre". USA Today. Retrieved December 5, 2015. ^ "FBI: No evidence San Bernardino killers were part of a cell". USA Today. December 4, 2015. ^ a b c Baker, Al; Santora, Marc (December 16, 2015). "San Bernardino Attackers Discussed Jihad in Private Messages, F.B.I. Says". The New York Times. ^ Lewis, Paul (December 16, 2015). "San Bernardino attackers did not post about jihad on social media, FBI says". The Guardian. ^ Martinez, Michael; Shoichet, Catherine E.; Brown, Pamela (December 9, 2015). "San Bernardino shooting: Couple radicalized before they met, FBI says". CNN. ^ a b Callimachi, Rukmini (December 5, 2015). "Islamic State Says 'Soldiers of Caliphate' Attacked in San Bernardino". The New York Times. Retrieved December 6, 2015. ^ "FBI probes ISIS, terror links to San Bernardino massacre". Los Angeles Times. Retrieved December 5, 2015. ^ Christie, Megan; Schwartz, Rhonda; Margolin, Josh; Ross, Brian (December 1, 2016). "Christmas Party May Have Triggered San Bernardino Terror Attack: Police". ABC News. Retrieved December 1, 2016. ^ a b Medina, Jennifer; Southall, Ashley (December 2, 2015). "Focus Shifts to Redlands Townhouse". The New York Times. Retrieved December 3, 2015. ^ a b Medina, Jennifer (December 3, 2015). "Police Raid Townhouse of Suspect in San Bernardino Shooting". The New York Times. Retrieved December 3, 2015. ^ a b Winton, Richard; Sahagun, Louis; Mather, Kate (December 4, 2015). "FBI agents search home in Corona again as San Bernardino probe continues". Los Angeles Times. ^ a b "Police: Investigators found 12 pipe bombs at home searched after killings in California". WEAU. Associated Press. Retrieved December 3, 2015. ^ Serrano, Richard A.; Bennett, Brian; Dolan, Jack; Karlamangla, Soumya (December 4, 2015). "San Bernardino massacre probed as terrorism, FBI says". Los Angeles Times. ^ Thomas, Pierre; Date, Jack (December 3, 2015). "San Bernardino Shooters Tried to Destroy Phones, Hard Drives, Sources Say". ABC News. ^ a b "FBI Searches Farook Family Home In Corona as Part of Investigation". Los Angeles: CBS News. December 3, 2015. ^ Serrano, Richard A.; Winton, Richard; Parvini, Sarah; Queally, James (December 10, 2015). "San Bernardino shooters planned bigger attack, investigators believe". Los Angeles Times. Retrieved December 11, 2015. ^ Karimi, Faith; Cabrera, Ana (December 13, 2015). "Items found in San Bernardino lake not related to attack, source says". CNN. Retrieved December 13, 2015. ^ a b c Ax, Joseph; Levine, Dan (December 4, 2015). "Reporters allowed into California shooters' home, FBI defends its search". Reuters. ^ a b Mather, Kate; Rubin, Joel (December 4, 2015). "In surreal scene, reporters swarm Redlands home rented by shooters". Los Angeles Times. ^ a b Rojas, Rick (December 5, 2015). "Landlord Lets Reporters Into San Bernardino Suspects' Home". The New York Times. ^ Fiegerman, Seth (December 4, 2015). "Ethics went out the window when media mobbed the San Bernardino shooters' apartment". Mashable. Retrieved December 5, 2015. ^ a b Calderone, Michael (December 4, 2015). "NBC Reporter Touts Network's Ethics Before Broadcasting Live From Inside San Bernardino Suspects' Apartment". HuffPost. ^ Gass, Nick (December 4, 2015). "Cable networks blasted after showing live footage inside Calif. killers' apartment". Politico. ^ Folkenflik, David (December 4, 2015). "Frenzied Media Pore Over Home of San Bernardino Killers During Live Broadcasts". All Things Considered. NPR. ^ a b Tompkins, Al (December 5, 2015). "Media circus in San Bernardino distracts from mass shooting story". Poynter Institute. ^ a b Wemple, Erik (December 4, 2015). "MSNBC's terrible live tour of the San Bernardino attackers' apartment". The Washington Post. ^ Volz, Dustin; Hosenball, Mark (February 9, 2016). "FBI director says investigators unable to unlock San Bernardino shooter's phone content". Reuters. Retrieved February 16, 2016. ^ McLaughlin, Jenna (June 12, 2016). "NSA Looking to Exploit Internet of Things, Including Biomedical Devices, Official Says". The Intercept. ^ "San Bernardino shooting: US says Apple could keep, destroy software to help FBI hack iPhone". KPCC. Associated Press. February 19, 2016. Retrieved February 19, 2016. 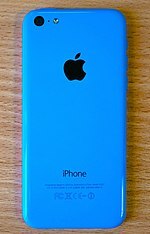 ^ "Apple Says Law Enforcement Missed Chance to Back Up San Bernardino Shooter's iPhone". KTLA. February 20, 2016. Retrieved February 20, 2016. ^ Ferran, Lee; Date, Jack (March 4, 2016). "San Bernardino DA: Clues to Unconfirmed 3rd Shooter, 'Cyber Pathogen' Could Be on iPhone". ABC News. Retrieved March 4, 2016. ^ Kravets, David (March 3, 2016). "San Bernardino DA says seized iPhone may hold 'dormant cyber pathogen'". Ars Technica. Retrieved March 4, 2016. ^ Dale, Jack; Levine, Mike; Newcomb, Alyssa (March 28, 2016). "Justice Department Withdraws Request in Apple iPhone Encryption Case After FBI Accesses San Bernardino Shooter's Phone". ABC News. Retrieved March 29, 2016. ^ Associated Press v. Federal Bureau of Investigation, Civil Action No. 16-cv-1850 (TSC) (D.D.C. September 13, 2017). ^ "Race to unlock San Bernardino shooter's iPhone was delayed by poor FBI communication, report finds". Los Angeles Times. March 27, 2018. Retrieved July 21, 2018. ^ "San Bernardino Shooting: At Least 14 People Killed". Sacramento: FOX40. Retrieved December 6, 2015. ^ Parvini, Sarah; Queally, James (March 5, 2016). "After San Bernardino attack, third shooter claims are just 'human nature'". Los Angeles Times. Retrieved March 5, 2016. ^ Medina, Jennifer; Pérez-Peña, Richard; Schmidt, Michael S.; Goodstein, Laurie (December 3, 2015). "San Bernardino Suspects Left Trail of Clues, but No Clear Motive". The New York Times. ISSN 0362-4331. Retrieved December 6, 2015. ^ "San Bernardino mass shooting: 2 suspects killed in shootout with police". San Bernardino County Sun. Retrieved December 6, 2015. ^ Lengel, Allan; Meek, James Gordon (February 18, 2016). "Unanswered Questions: FBI Hasn't Ruled Out 3rd Militant in San Bernardino Killings". ABC News. Retrieved March 4, 2016. ^ Sanburn, Josh (December 1, 2016). "5 Things We Still Don't Know a Year After the San Bernardino Shooting". Time. Retrieved December 2, 2016. ^ a b "Criminal complaint in United States of America v. Enrique Marquez, Jr., 5:15-mj-498". United States District Court for the Central District of California. December 17, 2015. ^ a b c d e Serrano, Richard (December 17, 2015). "San Bernardino shooter's friend Enrique Marquez charged with aiding plot". Los Angeles Times. Retrieved December 17, 2015. ^ a b c d e f g h i j k Queally, James; Winton, Richard; Esquivel, Paloma (April 28, 2016). "FBI arrests brother of San Bernardino terrorist and 2 others on marriage fraud charges". Los Angeles Times. Retrieved April 29, 2016. ^ a b Frosch, Dan; Elinson, Zusha; Palazzolo, Joe (December 5, 2015). "FBI Searches Home of Man Linked to Guns Used in San Bernardino Shooting". The Wall Street Journal. ^ a b Mather, Kate; Hamilton, Matt; Serrano, Richard A.; Dolan, Jack (December 10, 2015). "Enrique Marquez, who bought rifles used in San Bernardino attack, had deep ties to gunman". Los Angeles Times. ^ a b Francescani, Chris; Williams, Pete; Blankstein, Andrew (December 5, 2015). "FBI Searches Home of Farook Friend Who Bought Guns". NBC News. ^ Meek, James Gordon; Christie, Megan (December 5, 2015). "Official: Neighbor Purportedly Bought 'Assault-Style' Weapons Used in San Bernardino Rampage". ABC News. ^ "Records: Man to plead guilty to aiding San Bernardino attack". Associated Press. ^ "The man who bought the rifles: Who is Enrique Marquez?". Los Angeles Times. December 5, 2015. ^ a b Koren, Martina (December 17, 2015). "The First Criminal Charges in the San Bernardino Shooting". The Atlantic. Retrieved December 18, 2015. ^ a b Lovett, Ian (December 11, 2015). "San Bernardino Attackers' Friend Spoke of 'Sleeper Cells' Before Rampage". The New York Times. Retrieved December 17, 2015. ^ a b c Schmidt, Michael S.; Pérez-Peña, Richard (December 17, 2015). "Neighbor of San Bernardino Attackers Faces Terrorism Charges, Officials Say". The New York Times. ^ Winton, Richard; Queally, James (December 30, 2015). "Enrique Marquez Jr. faces more charges in San Bernardino terrorist attack". Los Angeles Times. Retrieved January 2, 2016. ^ a b c Schmidt, Michael S.; Masood, Salman (December 9, 2015). "San Bernardino Couple Spoke of Attacks in 2013, F.B.I. Say". The New York Times. ^ Serrano, Richard A.; Winton, Richard. "San Bernardino shooter's friend Enrique Marquez charged with aiding plot". Los Angeles Times. Retrieved December 17, 2015. ^ Barrett, Devlin; Audi, Tamara (December 10, 2015). "San Bernardino Shooter Said to Have Planned an Attack in 2012". The Wall Street Journal. Retrieved December 16, 2015. ^ De Atley, Richard K. (June 1, 2016). "SAN BERNARDINO SHOOTING: Marquez had ties to 'California jihadists,' FBI says". The Press-Enterprise. Retrieved June 1, 2016. ^ White, Chris (June 1, 2016). "Feds Admit San Bernardino Terrorist's Friend Had Connections to 2012 California Terror Cell". LawNewz. Retrieved November 11, 2016. ^ a b c d Christie, Megan (December 9, 2015). "San Bernardino Attack: Visas, Wives and Terror". ABC News. Retrieved December 17, 2015. ^ Glover, Scott; Brascia, Lorenza; Perez, Evan (December 8, 2015). "Enrique Marquez: San Bernardino killer and I plotted in 2012". CNN. ^ Wesson, Gail; De Atley, Richard K. (December 30, 2015). "SAN BERNARDINO SHOOTING: Marquez charges grow (UPDATE)". The Press-Enterprise. Retrieved January 1, 2016. ^ De Atley, Richard K.; Wesson, Gail (December 21, 2015). "SAN BERNARDINO SHOOTING: Bail denied; Marquez to remain in custody on terror-related charges (UPDATE 3)". Press-Enterprise. Retrieved January 4, 2016. ^ Esquivel, Paloma (January 6, 2016). "Enrique Marquez Jr. pleads not guilty to federal terror charges". Los Angeles Times. Retrieved January 6, 2016. ^ a b Esquivel, Paloma (February 16, 2017). "Father of San Bernardino terror victim condemns plea agreement for gunman's friend". The Los Angeles Times. Retrieved February 16, 2017. ^ a b c d Rokos, Brian (July 20, 2017). "Sentencing for Marquez in Dec. 2-related firearms case reset for Nov. 6". The Press-Enterprise. Retrieved July 20, 2017. ^ Rokos, Brian (November 2, 2017). "Sentencing for Riverside man who aided San Bernardino shooter is postponed". The San Bernardino Sun. Retrieved February 14, 2018. ^ Rokos, Brian (June 26, 2018). "Sentencing for friend who supplied rifles to San Bernardino terrorists is postponed". San Bernardino Sun. Retrieved August 26, 2018. ^ a b Dillon, Nancy (April 28, 2016). "Brother of San Bernardino mass shooter pleads not guilty to marriage scam". The New York Daily News. Retrieved April 29, 2016. ^ a b Myers, Amanda Lee (April 28, 2016). "FBI arrests brother, other relatives of San Bernardino shooter". The Miami Herald. Retrieved April 29, 2016. ^ a b c d Hamilton, Matt; Winton, Richard; Mather, Kate (December 27, 2015). "Russian sisters' low profile vanished with the San Bernardino attack". Los Angeles Times. Retrieved September 30, 2016. ^ a b c Rokos, Brian (April 29, 2016). "SAN BERNARDINO SHOOTING: Wife of Enrique Marquez now in Immigration custody". The Press-Enterprise. Retrieved May 1, 2016. ^ a b c Hamilton, Matt (January 26, 2017). "Russian 'wife' of man accused of conspiring with gunman in San Bernardino attack pleads guilty". Los Angeles Times. Retrieved February 15, 2017. ^ Bloom, Tracy; Wynter, Kareen (April 28, 2016). "San Bernardino Shooter's Brother, 2 Others Arrested on Marriage Fraud Charges". KTLA. Retrieved April 29, 2016. ^ Jacobo, Julia (February 18, 2016). "FBI Searches Home of San Bernardino Shooter's Brother". ABC News. Retrieved February 18, 2016. ^ "SAN BERNARDINO SHOOTING: FBI searching Farook's Corona home". The Press-Enterprise. February 18, 2016. Retrieved February 18, 2016. ^ "FBI searches home of San Bernardino killer's sibling". Associated Press. February 18, 2016. Retrieved February 18, 2016. ^ a b c d Bacon, John (April 28, 2016). "Brother of San Bernardino terrorist, 2 others arrested". USA Today. Retrieved April 28, 2016. ^ a b Lovett, Ian; Pérez-Peña, Richard (April 28, 2016). "3 Tied to San Bernardino Gunman Are Indicted". The New York Times. Retrieved April 28, 2016. ^ a b c Nelson, Joe; Rokos, Brian (May 26, 2017). "As local San Bernardino terrorist attack probe closes, FBI inquiry continues". Press Enterprise. Retrieved June 1, 2017. ^ Rokos, Brian (January 10, 2017). "San Bernardino shooter's brother pleads guilty to federal immigration-fraud charge". The Press-Enterprise. Retrieved January 10, 2017. ^ a b c "Tatiana Farook, sister-in-law of Dec. 2 shooter, pleads guilty in marriage-fraud case". The Orange County Register. February 9, 2017. Retrieved February 9, 2017. ^ Rokos, Brian (November 10, 2017). "Sentencings for couple related to Dec. 2, 2015, San Bernardino shooter are postponed". The San Bernardino Sun. Retrieved February 14, 2018. ^ Nelson, Joe (March 18, 2016). "Assemblyman hosts hearing today in San Bernardino on terror attack". San Bernardino County Sun. Retrieved March 18, 2016. ^ De Atley, Richard K. (March 18, 2016). "SAN BERNARDINO SHOOTING: Radio restrictions, armored vehicles discussed in terrorist attack hearing". The Press-Enterprise. Retrieved March 18, 2016. ^ "President Obama responds to San Bernardino shootings". ABC7 Los Angeles. Retrieved December 3, 2015. ^ a b Tau, Bryon (December 2, 2015). "In Grim Ritual, Barack Obama Again Calls for Stricter Gun Control After Mass Shooting". The Wall Street Journal. ^ Slack, Donovan; Singer, Paul; Kelly, Erin (December 3, 2015). "House Republicans urge caution on gun legislation". USA Today. ^ Bierman, Noah; Halper, Evan (December 3, 2015). "After shooting, Republicans want a 'wake-up call' on terrorism, Democrats on gun control". Los Angeles Times. ^ Horseman, Jeff (January 8, 2016). "SAN BERNARDINO SHOOTING: Pete Aguilar stumps for gun control on House floor". The Press-Enterprise. Retrieved January 8, 2016. ^ Mendelson, Aaron (January 20, 2016). "Gun sales spiked in California after San Bernardino shooting". KPCC. Retrieved January 20, 2016. ^ Steinberg, Jim (January 9, 2016). "Concealed weapons permit requests soar in wake of San Bernardino terror attack". The San Bernardino Sun. Retrieved January 19, 2016. ^ Márquez, Liset (January 5, 2016). "San Bernardino shooting victims' families react to Obama's action on gun laws". Inland Valley Daily Bulletin. Retrieved February 13, 2016. ^ Muckenfuss, Mark (January 5, 2016). "San Bernardino Shooting: Victims' families weigh Obama's gun-control speech". The Press-Enterprise. Retrieved February 13, 2016. ^ "Dem Senator Frustrated by Inaction on Guns Begins Filibuster". The New York Times. Associated Press. June 15, 2016. ISSN 0362-4331. Retrieved July 4, 2016. ^ Hurt, Suzanne (June 16, 2016). "ORLANDO MASS SHOOTING: San Bernardino shooting victim's daughter: 'It's time to disarm hate.'". The Press-Enterprise. Retrieved July 4, 2016. ^ a b "New York Times Publishes First Front Page Editorial In Nearly 100 Years". Weekend Edition Saturday. NPR. December 5, 2015. Retrieved December 5, 2015. ^ Editorial Board, The (December 4, 2015). "End the Gun Epidemic in America". The New York Times. Retrieved December 5, 2015. ^ Somaiya, Ravi (December 5, 2015). "Gun Debate Yields Page One Editorial". The New York Times. Retrieved December 5, 2015. ^ McGreevy, Patrick (April 20, 2016). "Lawmakers advance gun control measures in response to San Bernardino massacre". Los Angeles Times. Retrieved April 20, 2016. ^ Weston, Ethan (July 2, 2016). "California Tightens Gun Laws In Aftermath Of San Bernardino, Orlando". NewsY. Retrieved July 3, 2016. ^ "Widow of San Bernardino shooting victim files $58 million in wrongful death claims". Chicago Tribune. wire reports. January 13, 2016. ^ Rokos, Brian (January 22, 2016). "SAN BERNARDINO SHOOTING: Family members of victim seek $204 million from county". The Press-Enterprise. Retrieved January 22, 2016. ^ De Atley, Richard K. (January 13, 2016). "SAN BERNARDINO SHOOTING: Claim is just first step in long process". The Press-Enterprise. Retrieved January 14, 2016. ^ Hagen, Ryan (January 22, 2016). "San Bernardino denies claims from response to Dec. 2 attack". The San Bernardino Sun. Retrieved January 23, 2016. ^ Serna, Joseph; Parvini, Sarah; Hamilton, Matt; Knoll, Corina (May 31, 2016). "Should a terrorist's family collect insurance money after he killed 14 people in the San Bernardino attack?". Los Angeles Times. Retrieved June 1, 2016. ^ Blankstein, Andrew; Chuck, Elizabeth (June 1, 2016). "Feds File Suit Against Family of San Bernardino Shooter to Seize Life Insurance Polices". NBC News. Retrieved June 1, 2016. ^ "Feds file suit to seize San Bernardino shooter's life insurance". CBS News. Associated Press. May 31, 2016. Retrieved June 1, 2016. ^ Nelson, Joe (June 9, 2016). "SAN BERNARDINO SHOOTING: Lawsuit reveals quandary over shooter's life insurance benefits". The Press-Enterprise. Retrieved June 12, 2016. ^ McMillan, Rob (September 2, 2016). "Government Wants Money From Life Insurance Policies of San Bernardino Terror Shooter Given to Families' Victims". KABC-TV. Retrieved September 5, 2016. ^ Esquivel, Paloma (May 5, 2016). "San Bernardino County plans to create a memorial to the terror attack victims". Los Angeles Times. Retrieved May 6, 2016. ^ Molina, Alejandra (May 6, 2016). "SAN BERNARDINO SHOOTING: Union unveils memorial plans for victims". Retrieved May 6, 2016. ^ De Atley, Richard K. (June 2, 2017). "Permanent San Bernardino terrorist attack memorial plans in development". The Press-Enterprise. Retrieved February 14, 2018. ^ Nelson, Joe (December 1, 2017). "After two years, San Bernardino County selects consultant for memorial to honor victims of terrorist attack". The San Bernardino Sun. Retrieved February 14, 2018. ^ a b c Alexander, Bryan (December 2, 2015). "Governor cancels capitol Christmas tree ceremony in wake of shooting". USA Today. ^ Brown, Emma (November 15, 2015). "All Los Angeles public schools closed due to threat to 'many' schools". The Washington Post. Retrieved December 15, 2015. ^ "Threats Against 'Many Schools' Prompt LAUSD To Shut Down All Campuses". CBS Los Angeles. November 15, 2015. Retrieved December 15, 2015. ^ "COPS Office: Department of Justice Releases Critical Incident Review of the San Bernardino Public Safety Response" (Press release). United States Department of Justice, Office of Community Oriented Policing Services. September 9, 2016. Retrieved November 11, 2016. ^ "New Report: Bringing Calm To Chaos: A Police Foundation review of the San Bernardino terrorist attacks". Police Foundation. September 9, 2016. Retrieved November 11, 2016. ^ Dobuzinskis, Alex; Fallon, Patrick (December 2, 2016). "In San Bernardino, solemn ceremony marks mass shooting". Reuters. Retrieved December 2, 2016. ^ Bloom, Tracy; Spillman, Eric; Espinosa, Elizabeth (December 2, 2016). "Memorials Mark 1-Year Anniversary of San Bernardino Terror Attack". KTLA. Retrieved December 2, 2016. ^ "Most San Bernardino County Offices To Remain Closed After Mass Shooting". CBS Los Angeles. December 3, 2015. ^ "County Offices Closed". The New York Times. December 3, 2015. Retrieved December 3, 2015. ^ Taxin, Amy; Skoloff, Brian (December 7, 2015). "San Bernardino County to Reopen for Business After Attacks". Associated Press. ^ a b De Atley, Richard K. (December 31, 2015). "SAN BERNARDINO SHOOTING: New year of hope and farewells". The Press-Enterprise. Retrieved January 3, 2016. ^ Rogers, John (December 8, 2015). "Site of San Bernardino shootings closed until 2016". Associated Press. Archived from the original on December 22, 2015. Retrieved December 15, 2015. ^ a b Sewell, Abby (January 2, 2016). "Inland Regional Center reopening with heightened security, one month after San Bernardino attack". Los Angeles Times. Retrieved January 2, 2016. ^ "Workers return to site of San Bernardino massacre as offices reopen". Chicago Tribune. Associated Press. January 4, 2016. Retrieved January 4, 2016. ^ Esquivel, Paloma; Winton, Richard (December 15, 2015). "San Bernardino seeks help to pay $1 million in costs from shooting". Los Angeles Times. ^ Bernstein, Sharon (December 18, 2015). "California governor declares emergency in response to San Bernardino attack". Yahoo! News. Reuters. Retrieved December 18, 2015. ^ Molina, Alejandro (March 22, 2016). "SAN BERNARDINO SHOOTING: County to hire temp environmental health workers". The Press-Enterprise. Retrieved March 25, 2016. ^ Hecht, Peter (December 3, 2015). "Residents attending San Bernardino stadium vigil share grief". The Sacramento Bee. Retrieved December 5, 2015. ^ MacBride, Melissa (December 3, 2015). "Thousands gather for San Bernardino vigil following mass shooting". ABC News. Retrieved December 5, 2015. ^ Johnson, M. Alex (December 8, 2015). "San Bernardino Shooting: Emotional Vigils Mourn the Victims". NBC News. ^ Goldenstein, Taylor (December 8, 2015). "San Bernardino shooting vigil: Victim was 'Superman,' friends say". Los Angeles Times. ^ Healy, Patrick; Kandel, Jason (January 4, 2016). "Memorial for Victims of San Bernardino Mass Shooting Features Pastor Rick Warren Speech". NBC Los Angeles. Retrieved January 4, 2016. ^ Wall, Stephen; Robinson, Alicia (January 4, 2016). "SAN BERNARDINO SHOOTING: 'You can't beat us,' Rudy Giuliani tells terrorists in memorial speech". The Press-Enterprise. Retrieved January 4, 2016. ^ Molina, Alejandra (March 3, 2016). "SAN BERNARDINO SHOOTING: Relief fund reaches $2.48 million". The Press-Enterprise. Retrieved March 3, 2016. ^ Hagen, Ryan (July 5, 2016). "SAN BERNARDINO SHOOTING: All United Way money given to victims". The Press-Enterprise. Retrieved July 5, 2016. ^ "Obama orders flags at half-staff after shooting". WJHL. Associated Press. December 3, 2015. ^ LoBianco, Tom; Malloy, Allie (December 3, 2015). "Obama: 'It's possible' San Bernardino shooting was terrorism". CNN. ^ Vercammen, Paul; Brumfield, Ben; Liptak, Kevin (December 18, 2015). "President Obama visits San Bernardino shooting victims, families, responders". CNN. Retrieved December 19, 2015. ^ "Gov orders flags to half-staff to honor Calif. shooting victims". KTVZ. December 3, 2015. ^ Moran, David (December 3, 2015). "Malloy Orders Flags to Half-Staff to Honor San Bernardino Shooting Victims". Hartford Courant. ^ Boyd, John (December 3, 2015). "Governor orders flags at half staff in wake of California shooting". KWCH. Archived from the original on December 8, 2015. Retrieved December 3, 2015. ^ "Factbox: Political reactions to deadly shooting in San Bernardino, California". Yahoo News. Retrieved December 3, 2015. ^ Jamieson, Dave (December 4, 2015). "Union Says 10 of 14 Killed in San Bernardino Were Members". HuffPost. Retrieved December 5, 2015. ^ Westcott, Lucy (December 3, 2015). "American Muslim Organizations Condemn San Bernardino Shooting". Newsweek. ^ El Nasser, Haya (December 4, 2015). "Southern California Pakistanis shaken by shooters' identities". Al Jazeera. Retrieved December 5, 2015. ^ "Ahmadiyya Muslim Community to hold prayer vigil in Chino for San Bernardino shooting victims". San Bernardino County Sun. December 3, 2015. Retrieved December 5, 2015. ^ "Muslims Condemn Violent Acts of Mass Shooting Suspects". Voice of America. December 4, 2015. Retrieved December 5, 2015. ^ "Muslims report more bias cases across USA". USA Today. December 8, 2015. Retrieved December 8, 2015. ^ "California Cases Investigated as Anti-Muslim Hate Crimes". Associated Press. December 15, 2015. ^ Watanabe, Teresa (December 8, 2015). "American Muslims raise more than $100,000 for families of San Bernardino shooting victims". Los Angeles Times. Retrieved December 8, 2015. ^ Chan, Melissa (December 9, 2015). "American Muslims Are Raising $1,000 an Hour for San Bernardino Victims". Los Angeles Times. ^ Donnelly, Kristin; Jansing, Chris; Siemaszko, Corky (December 15, 2015). "White House Holds Meeting With Muslims and Sikhs". NBC News. ^ Tau, Bryon (December 15, 2015). "White House to Convene Muslim and Sikh Leaders to Discuss Discrimination, Violence". The Wall Street Journal. ^ Hurt, Suzanne (January 19, 2016). "San Bernardino Shooting: ISIS magazine praises shooters as martyrs". The Press-Enterprise. Retrieved January 20, 2016. ^ Adler, Ben (September 12, 2016). "San Bernardino Shooting Heroes Awarded Medals Of Valor". Capital Public Radio News. Retrieved September 12, 2016. ^ "San Bernardino investigation targets man thought to have bought 2 weapons". The Washington Post. Retrieved December 6, 2015. ^ "President Obama's full Oval Office address". CNN. December 7, 2015. Retrieved December 14, 2015. ^ Shear, Michael D.; Gardiner, Harris (December 6, 2015). "Obama Says of Terrorist Threat: 'We Will Overcome It'". The New York Times. Retrieved December 6, 2015. ^ Shear, Michael D (December 6, 2015). "For Speech, Obama Selects a Setting He Usually Shuns: The Oval Office". The New York Times. Retrieved December 6, 2015. ^ "Here's what Obama said in his Sunday night address: An annotated transcript". The Washington Post. December 6, 2015. Retrieved December 6, 2015. ^ a b Oliphant, James; Whitesides, John (December 9, 2015). "For Republican presidential candidates, war rolls easily off the tongue". Reuters. Retrieved March 30, 2016. ^ Flores, Reena (December 16, 2016). "Chris Christie: "We're already in World War III"". CBS News. Retrieved March 30, 2016. ^ Mason, Wyatt (February 11, 2016). "To Be a Muslim in the West". New York Review of Books. Retrieved March 30, 2016. ^ a b Gjelten, Tom (December 8, 2015). "Some American Muslims Irritated By Obama's Call For Them To 'Root Out' Extremism". NPR. ^ Solis, Marie (December 7, 2015). "10 Actual Facts About Muslims You'll Never Hear From Donald Trump's Mouth". Mic. ^ "Weekly Address: Standing with Orlando". The White House. June 18, 2016. Retrieved June 24, 2016. ^ "Donald J. Trump Statement on Preventing Muslim Immigration". Donald J. Trump for President. December 7, 2015. Archived from the original (Press Release) on May 8, 2017. Retrieved December 7, 2015. ^ Holland, Steve; Stephenson, Emily (December 7, 2015). "Donald Trump urges ban on Muslims entering U.S". Reuters. ^ a b c Gowen, Annie (December 8, 2015). "Trump's Muslim ban call 'endangers US security'". The Washington Post. ^ Blefsky, Dan (December 8, 2015). "Trump's Plan to Bar Muslims Is Widely Condemned Abroad". The New York Times. ^ Kopan, Tal; Bradner, Eric. "White House: Donald Trump Muslim plan 'disqualifies' him from presidency". CNN. Retrieved December 18, 2015. ^ "Trump's Muslim ban call 'endangers US security'". BBC. December 8, 2015. Retrieved December 8, 2015. ^ "David Cameron criticises Donald Trump 'Muslim ban' call". BBC News. December 8, 2015. Retrieved December 8, 2015. ^ "Donald Trump's Muslim US ban call roundly condemned". BBC News. December 8, 2015. Retrieved December 8, 2015. ^ Rappeport, Alan. "Trump's Republican Rivals Condemn His Call to Bar Muslims From Entering U.S." The New York Times. Retrieved December 18, 2015. ^ Keneally, Meghan (December 8, 2015). "Donald Trump Cites These FDR Policies to Defend Muslim Ban". Good Morning America. Yahoo! News. Retrieved December 12, 2015. I mean, take a look at what FDR did many years ago and he's one of the most highly respected presidents. I mean respected by most people. They named highways after him. ^ a b c Nakashima, Ellen (December 9, 2015). "After terrorist attacks, the debate over encryption gets new life". The Washington Post. ^ a b c Froomkin, Dan; McLaughlin, Jenna (December 9, 2015). "Comey Calls on Tech Companies Offering End-to-End Encryption to Reconsider 'Their Business Model'". The Intercept. ^ Cockerham, Sean (December 9, 2015). "Feinstein proposes social media rules as FBI says shooters talked jihad in 2013". McClatchy DC. ^ Reavy, Pat (December 3, 2015). "Does San Bernardino shootout warrant need for armored vehicles in Utah?". Deseret News. ^ Kates, Graham (December 3, 2015). "Experts: Most police depts. don't need armored trucks". CBS News. Associated Press. ^ Kirkland, Allegra (December 3, 2015). "After San Bernardino Massacre, Police Depts Ask For Their Military Gear Back". Talking Points Memo. Wikimedia Commons has media related to 2015 San Bernardino shooting.